Recording anemometer to document wind velocity used at Eskdalemuir Observatory. The instrument was designed by William Henry Dines FRS (1855-1927). 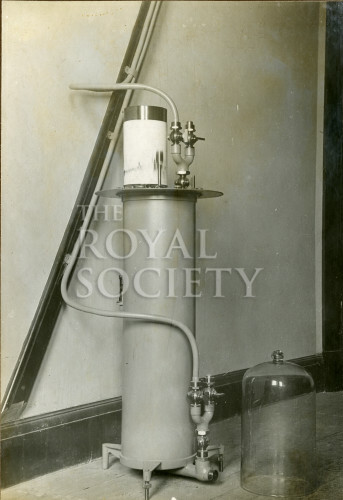 Captioned ‘Pressure-Tube Anemograph’.